Saida Hassan said she was relieved to finally arrive in Minnesota after spending 16 grueling hours traveling from Kenya. The 20-year-old sophomore at the University of Minnesota had gotten sick on the plane and even threw up. After landing, Hassan thought she was finally in the clear. She's a U.S. citizen with an American passport, and all she had to do was pass through customs and pick up her luggage. "The guy at the line asked me how many luggages I was carrying, and I told him, 'three,'" Hassan said. "Suddenly, he pressed a button and said, "Supervisor, supervisor." She was then escorted to a waiting room. And so she waited ... and waited. Hassan said, eventually a man took her into a small room and began asking her questions. "He said, Have you gone to Somalia?' No. 'Has any of your family members came from Somalia?' I'm looking at him, like, "Of course they're from Somalia." He would ask me five questions at a time. He would say, "Hmm," look at the computer and repeat those questions. He thought he was (outsmarting) me, but he was just rephrasing the questions," she said. Hassan said a few minutes at the airport turned into a few hours. She said the officer was actually pretty friendly, but Hassan still doesn't know, two weeks after the incident, why she was detained. 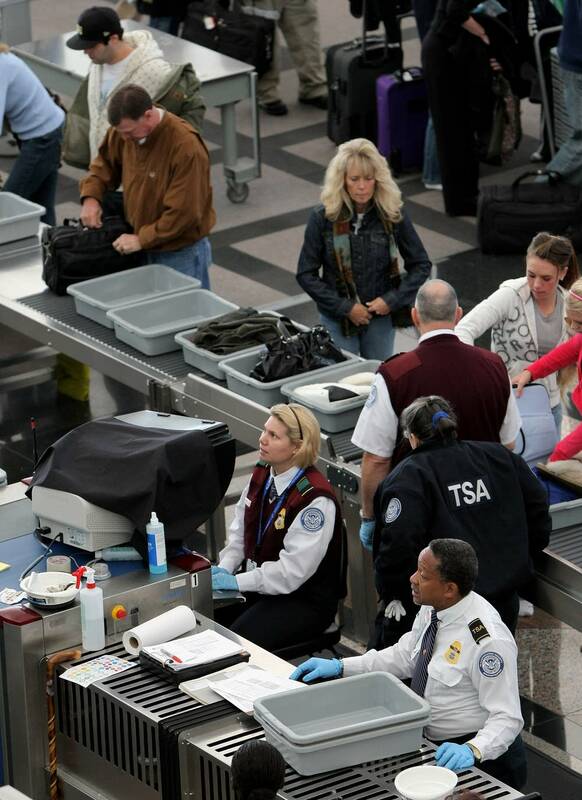 "I understand why they have to do this check, and I don't blame them -- of course, security check for our own safety," she said. "But I'm sure they cleared my record within 30 minutes. There was no reason why they had to keep me for three hours. They could clearly see I'm no harm." 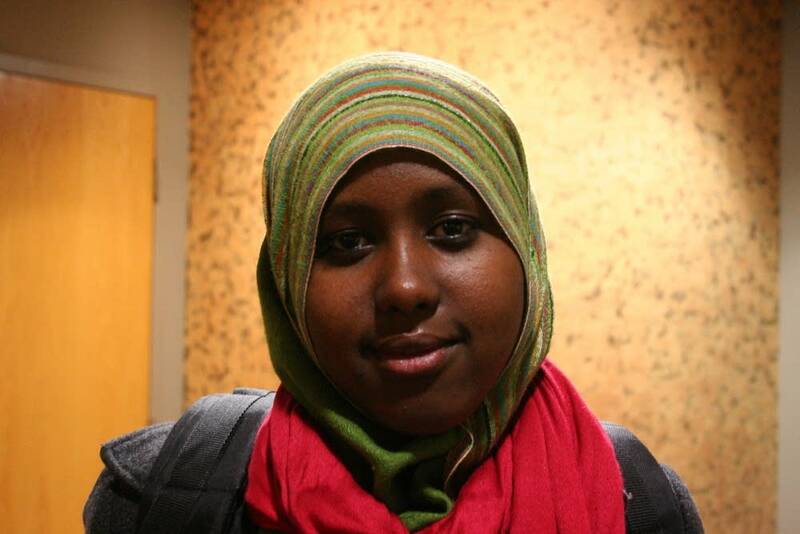 But many college students of Somali origin have been stopped in the past two months, including Hassan's older cousin. Mukhtar Osman said he was stopped in Chicago after flying back from Sweden to visit family friends. Osman said he personally knows at least 10 others who have encountered similar lines of questioning, and not only while traveling. Agents have been known to interview college students on campus and even knock on the doors of private homes. A number of young people who attend the Abubakar As-Saddique mosque in Minneapolis have also been approached. Community leaders say many Somalis are eager to provide information -- until the interviews begin to sound more like interrogations. "Every young Somali is under suspicion now for some reason -- globally, not just here," said Dr. Abdirahman Mohamed, a Minneapolis physician. Mohamed said he understands some of the questions officers asked his college-age cousin when he was stopped in a Toronto airport en route from Kenya. "Why did he leave, where did he go -- which are legitimate questions, in my opinion," Mohamed said. "But some of the questions were, 'Did you go to the mosque?"'" Mohamed said asking a Muslim that question is like asking other Americans, "Do you go to Starbucks?" U.S. customs officials wouldn't say whether the recent airport scrutiny has anything to do with an investigation into the missing men. Families of the missing are worried that their sons may have gone back to their parents' homeland to fight. "We do not necessarily target individuals," said Brett Sturgeon, a spokesman for U.S. Customs and Border Protection. "What we will do, however, is if people are coming from a high-risk countries, we might take a look at that particular flight, more than we would from a country that is not considered as high risk." The Minnesota chapter of the Council on American-Islamic Relations has heard directly from 50 to 100 individuals who say they've been stopped by federal agents in recent months. The council has begun increasing the number of "Know Your Rights" presentations in the community. Lori Saroya, who chairs the state chapter, said religious profiling is something that all Muslims have faced since 9/11, but some Somalis are just now beginning to encounter it. Saroya said the FBI's approach has intimidated some Somalis who have traditionally feared government because of the oppression they knew in their old country. "We had one man who was walking on the street, and the FBI agent invited him into his car," Saroya said. "There was one agent sitting in the front seat and another agent in the back seat. According to him, he was bombarded with questions. He just answered "no" to everything. He was just so scared." The FBI has acknowledged it has and will continue to meet with individuals in the Somali community who share their concerns about the radicalization of the youth. E.K. Wilson, a spokesman for the agency's Minneapolis office, said the conversations have been strictly voluntary. "It's a matter of community outreach," he said, "and enabling us to have a better understanding of the pulse of the community -- what their fears are, and what their concerns are."